The natural Silhouette has been made to feel refined! It is good to wear Warm with double hand made Wool fabrics! I recommend you to join with various styling by design! It is a long trench coat of berry which can produce. I came out with a light texture and bright colors to wear from spring to spring. It is a trench coat made in brand quality with delicate detail. It is single button trench coat that check pattern becomes point. Brand Quality Perfect pit that is not equal, It is pearl coat of design! Slim waistline and flare lines make it a perfect cover. Delicate shine and texture live in the fabric itself, and it looks luxurious. If you've found a feminine and Beloved coat, this is it! Fake Fur of the sleeve line It is the coat that spreads to the A line by trimming and the incision! Wool blend contains padded lining, so I like warmth! It is a winter coat that can wear an atmosphere like a trench coat on a gold button. It is Wool Long Mustang with a light and warm fit. 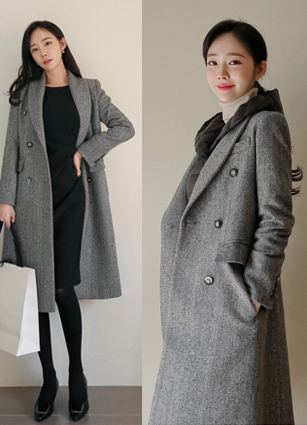 It's Double-button Check Long coat which is produced in slim fit even if you wear it. When I tried it on my own, I felt a very high density, and the warmth was enhanced. Delicate without wrinkle You can dress really luxuriously with a shiny texture. Slim is a Stylish Nokara half coat. It is a high quality check coat that was produced with the same process as the brand. Harp Coat feels fashionable even on the gold button! It is good check trench coat to wear to warm until winter. Anyone can wear feminine lines with a sense of half length. Now Dress Good Harp Trench Coat of moderately thick material! 1. Highly dense Wool 60% Domestic fabric, high quality with domestic production! It has a span of moderate thickness, and it is very comfortable to wear. Falling pit is the charm of a sense of quality. It has a button on the side and a winged cross. Trench Coat with Slim on Falling Pit! Stripe Lined with sleeves to make sense of the lining of the sleeve! Dear already been recognized many visitors Check Coat!